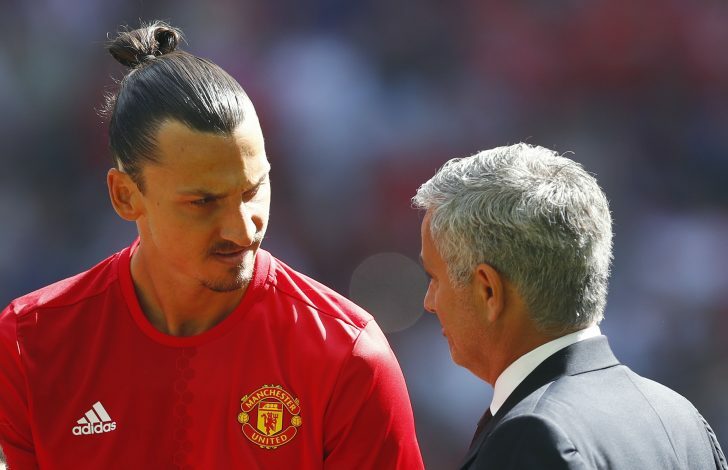 Jose Mourinho and Zlatan Ibrahimovic have their sights set on Champions League records. With Manchester United back in the Champions League, both Ibrahimovic and Mourinho are looking forward to breaking personal records in the elite European competition for clubs. If Zlatan Ibrahimovic scores in the upcoming UCL campaign, he will break his own record of being the only player to score Champions League goals for 7 different clubs. Zlatan was also the only player in the world to have scored CL goals for 6 different teams. Jose Mourinho, on the other hand, is looking to break the record of most number of matches managed in Champions League, which is currently held by Manchester United‘s legendary boss Sir Alex Ferguson. The Scot has managed a record 194 matches in the Champions League. However, Jose Mourinho, with 133 matches in Champions League, is far behind Sir Alex Ferguson, but the Portuguese coach has set his sights on the record and he even confessed of wanting it.